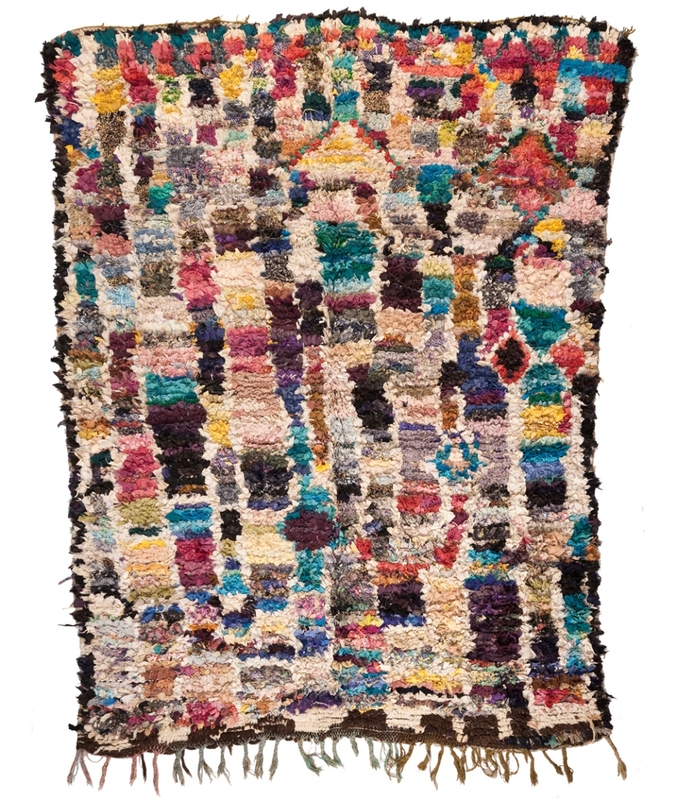 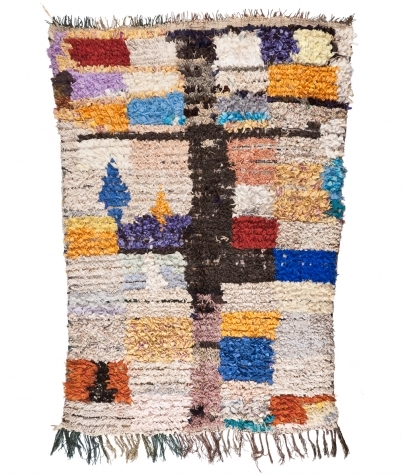 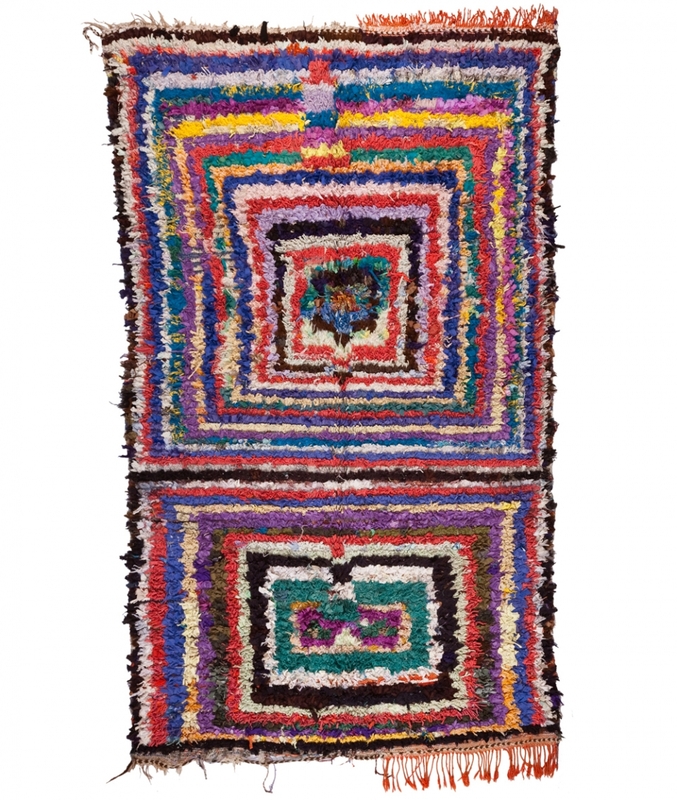 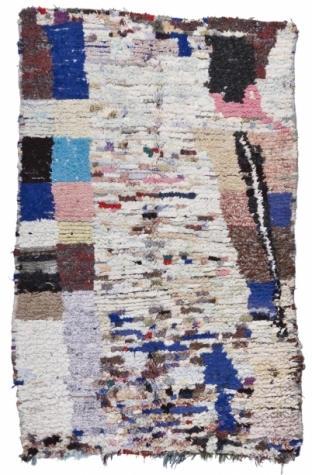 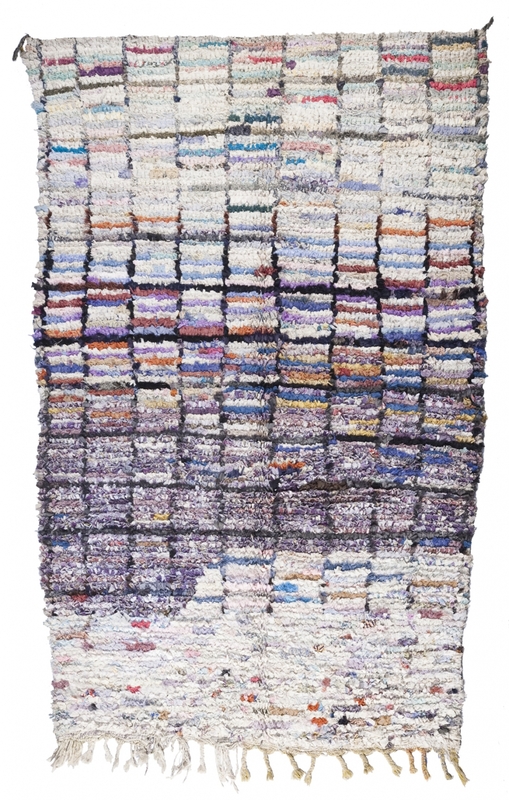 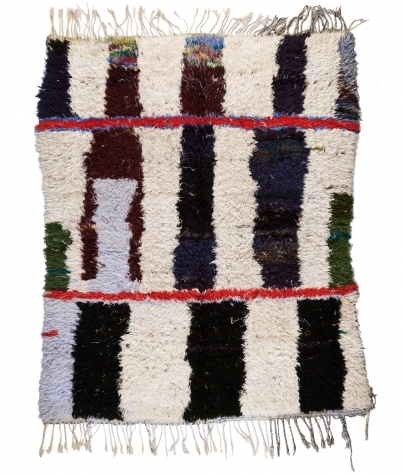 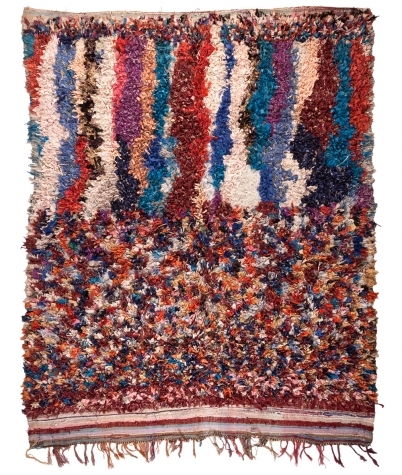 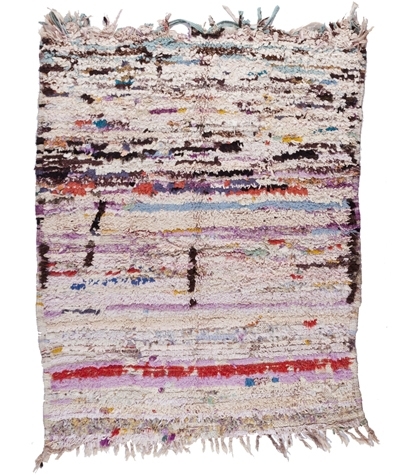 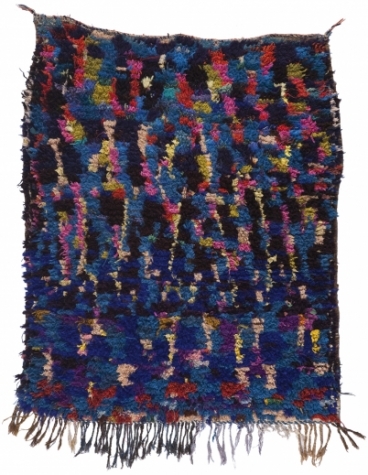 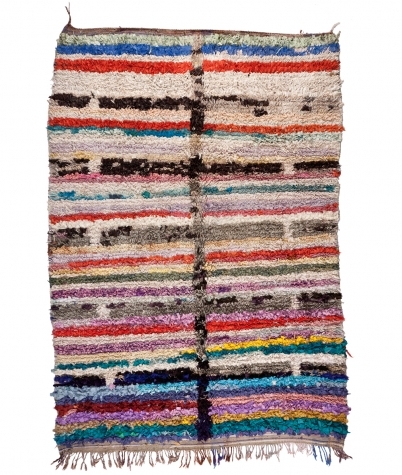 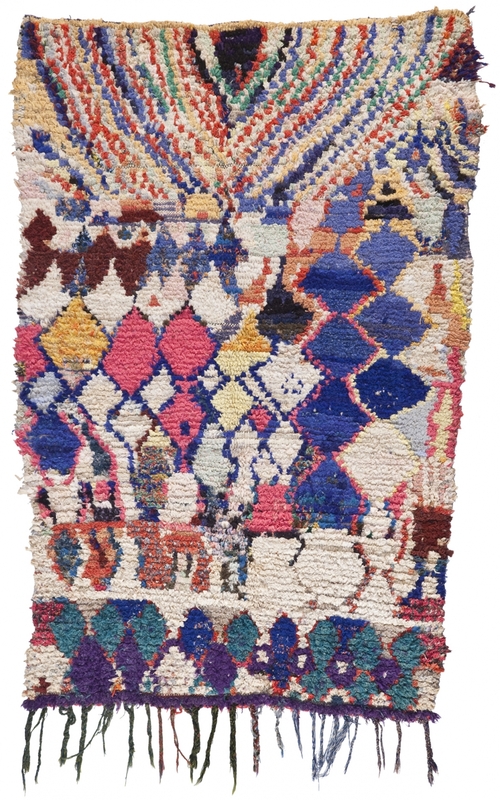 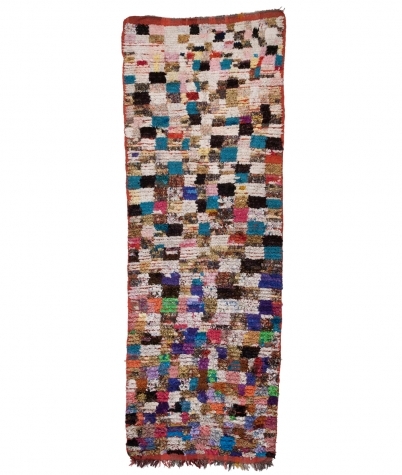 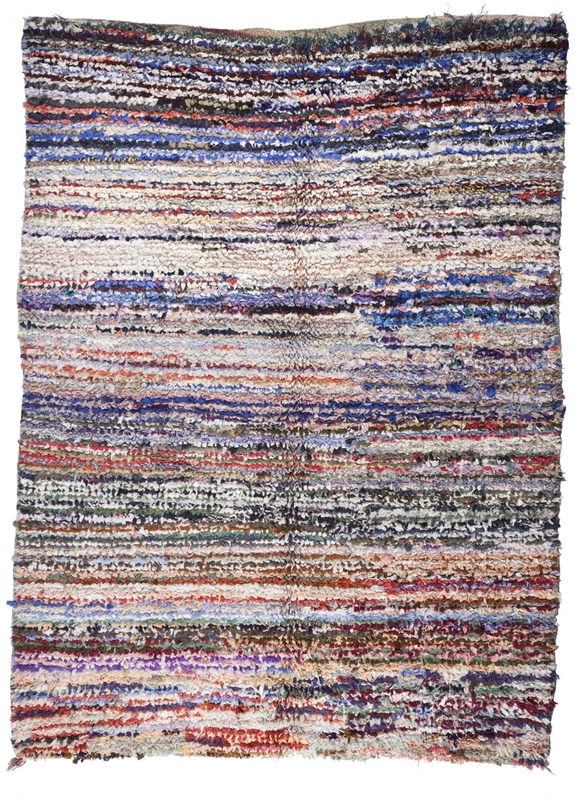 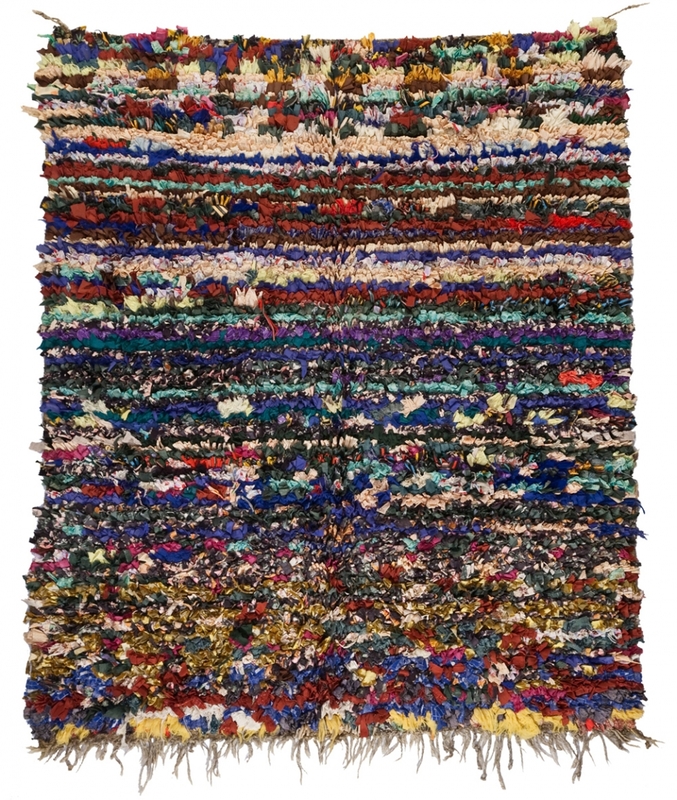 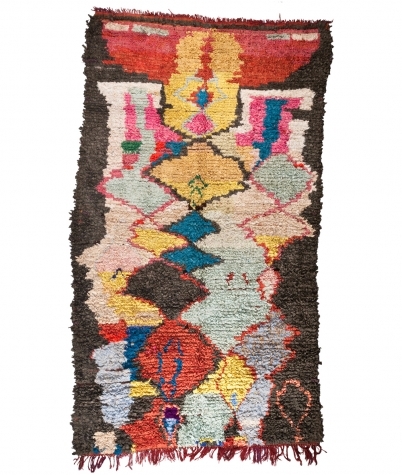 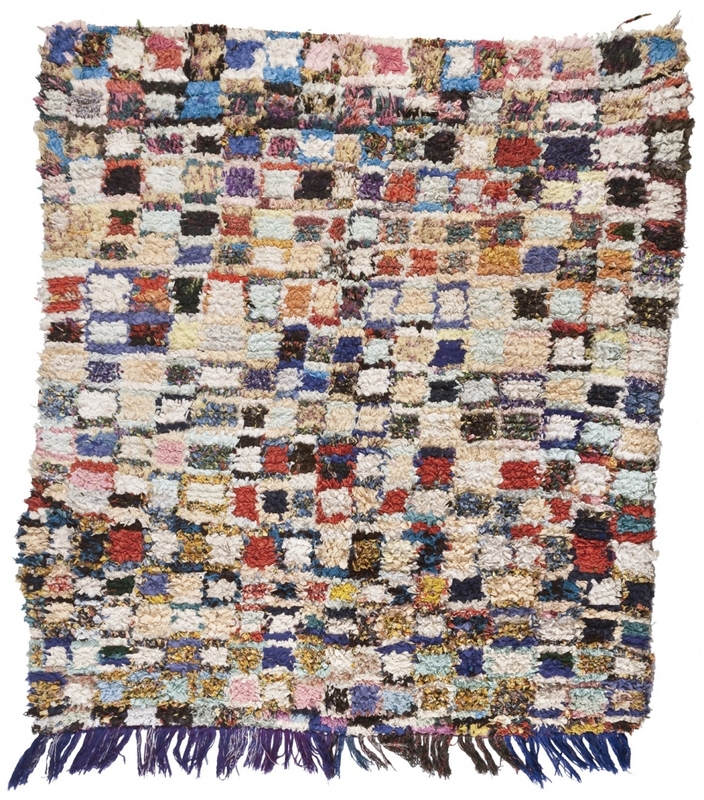 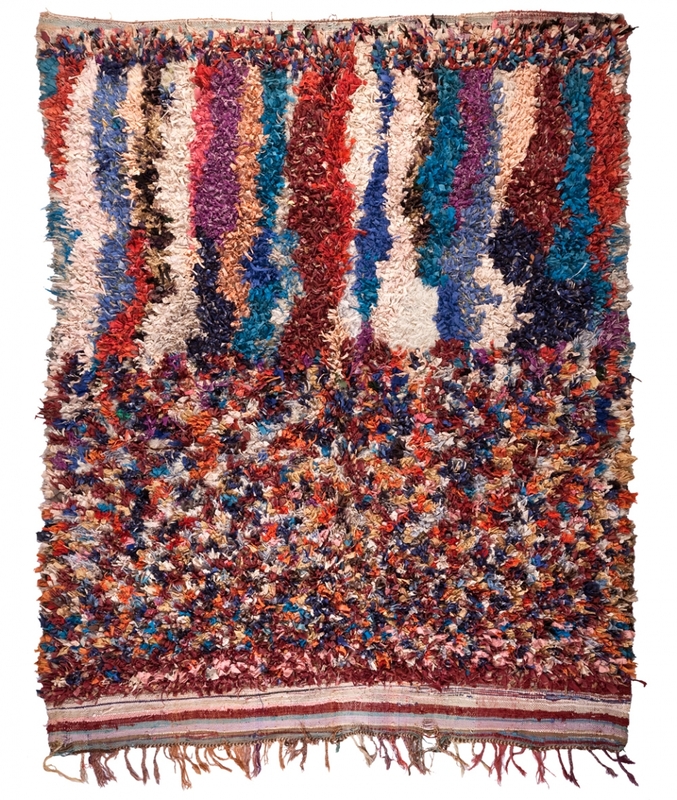 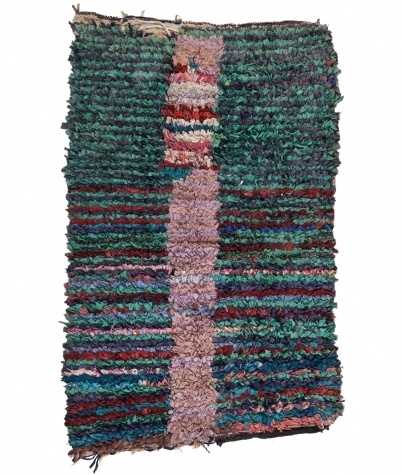 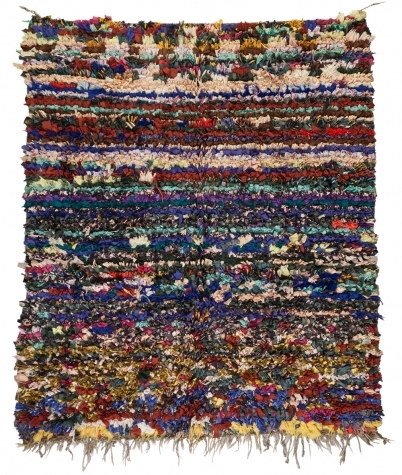 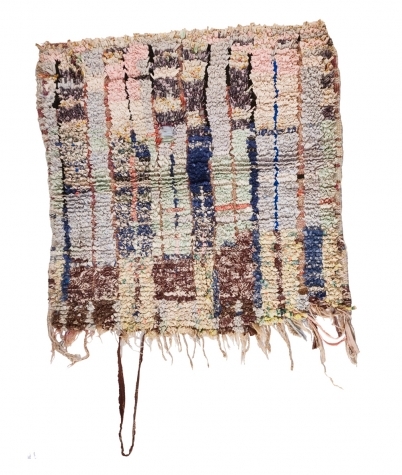 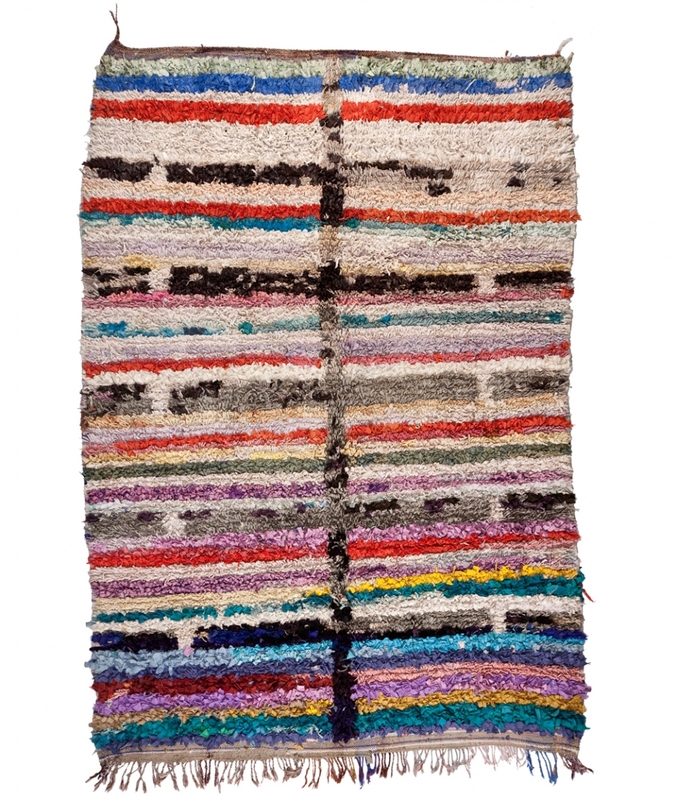 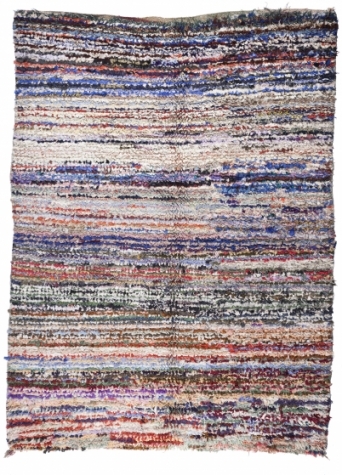 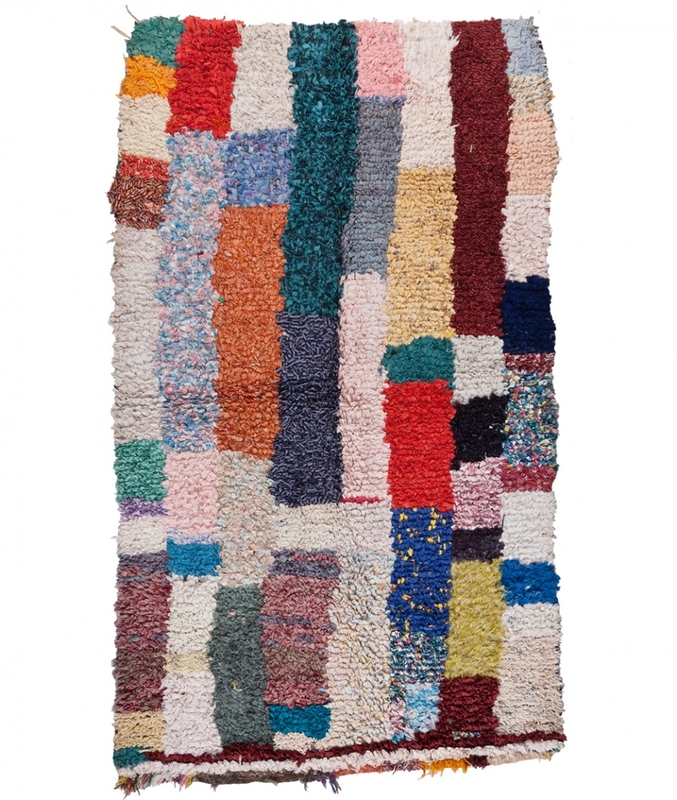 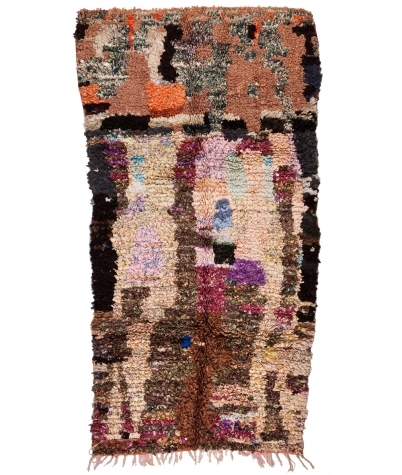 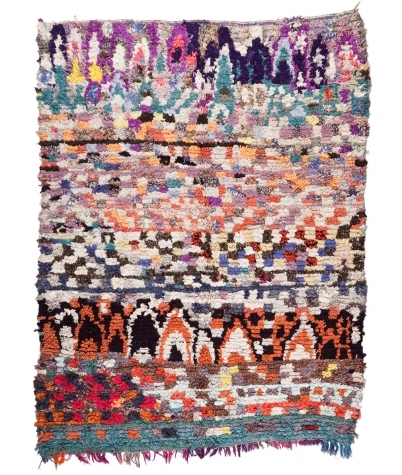 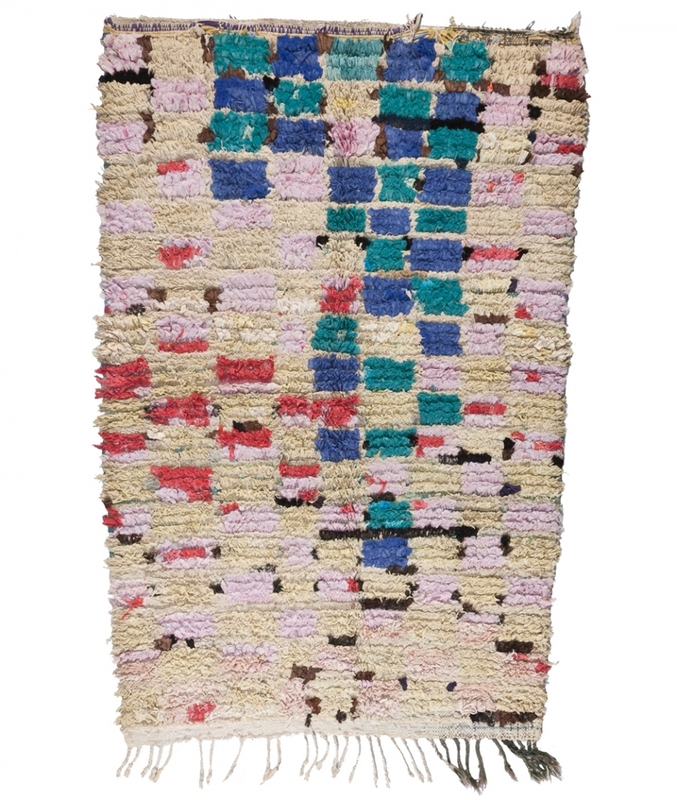 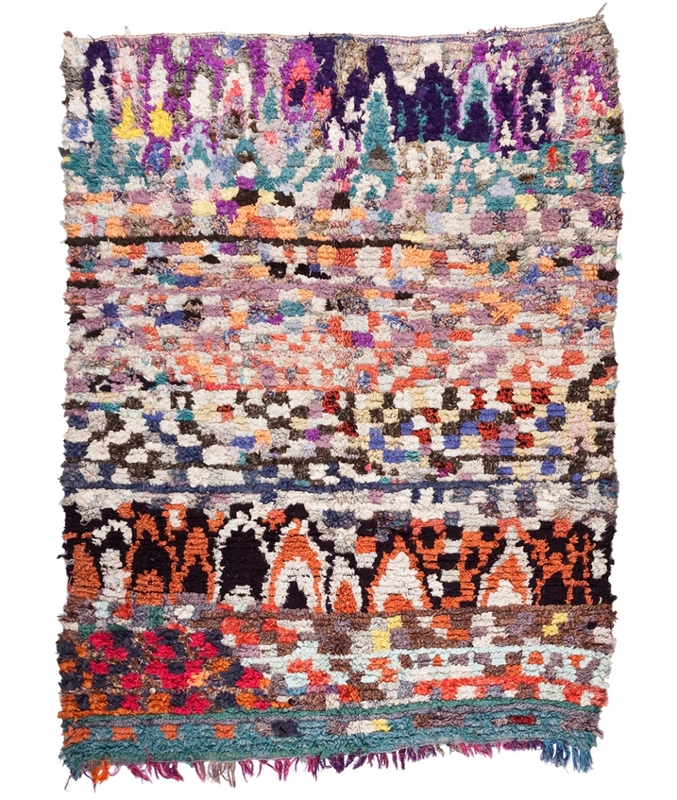 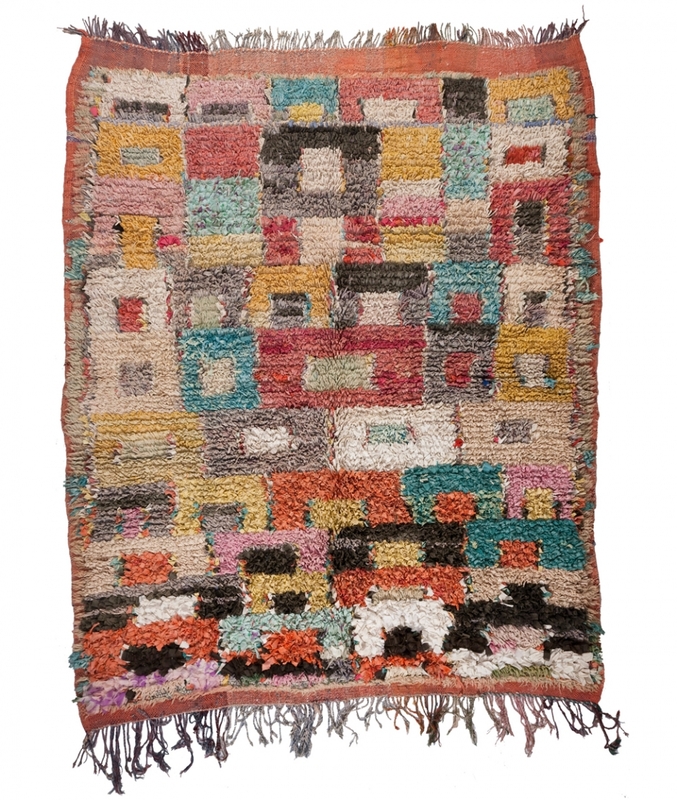 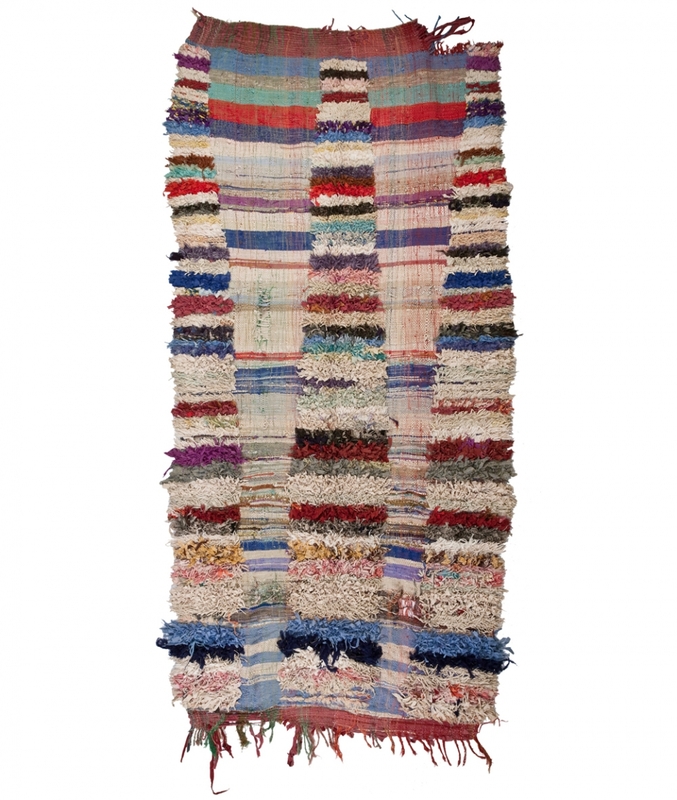 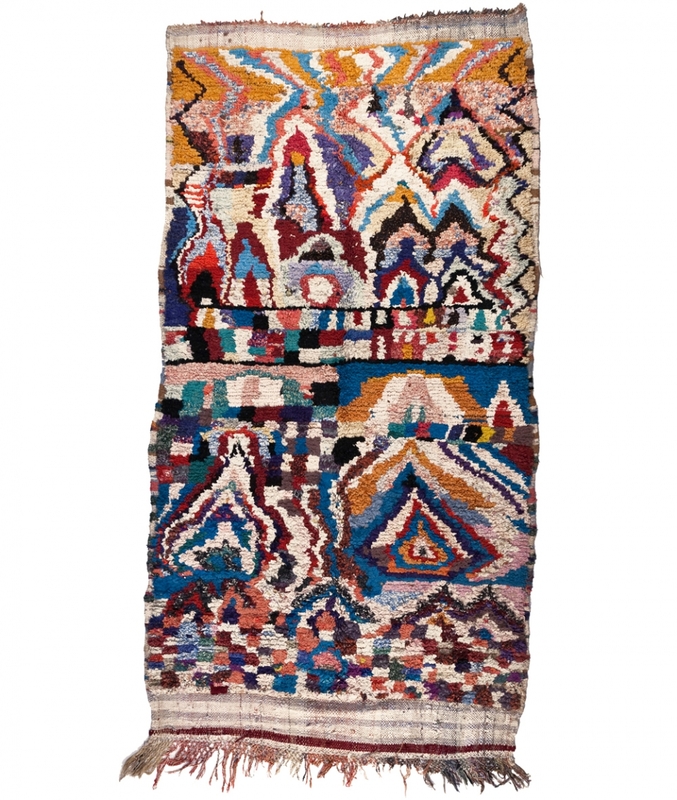 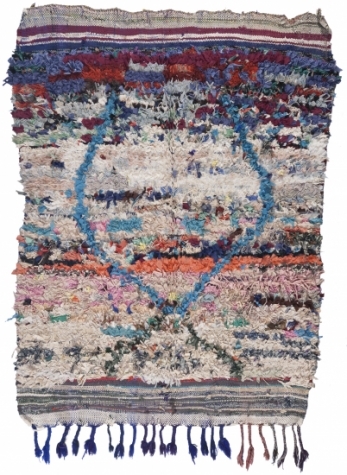 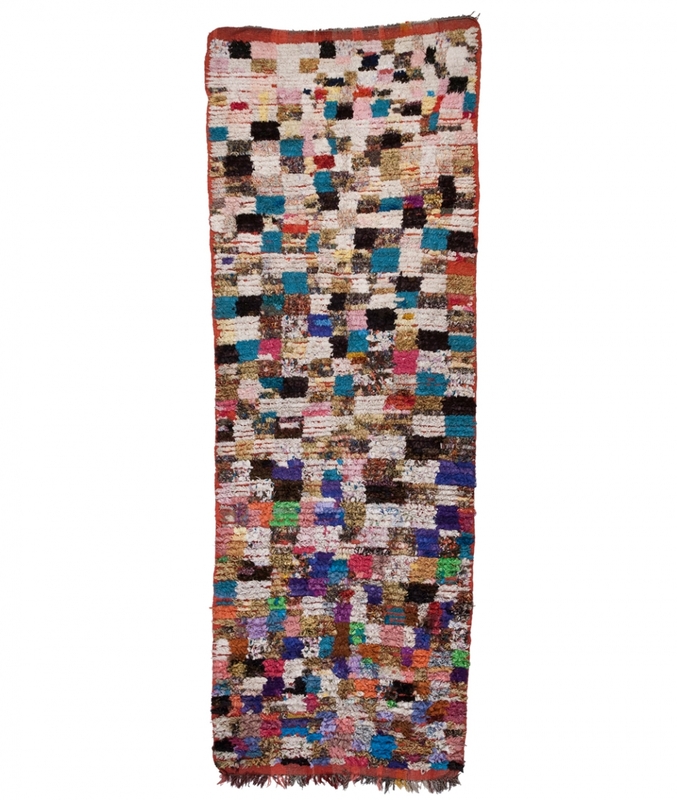 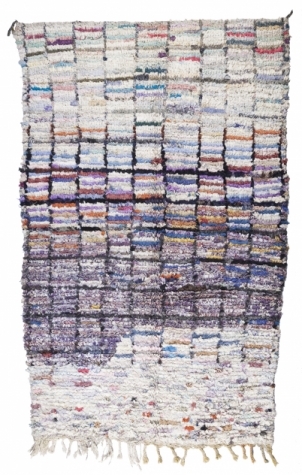 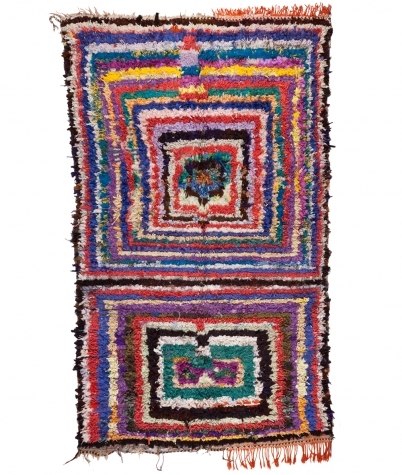 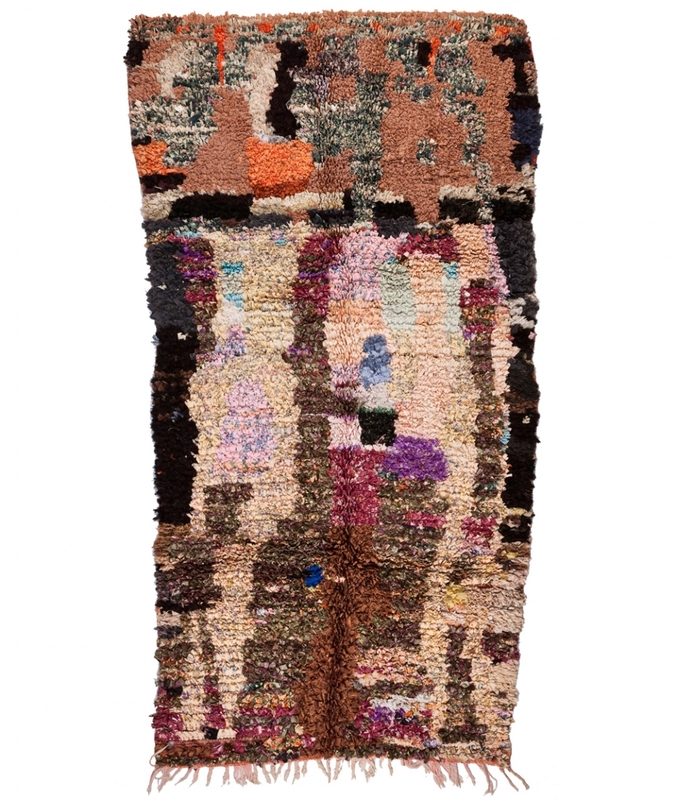 The “Boucharouite”, carpet made of bits of cloth, owes its apparition to that of prêt‐à-porter clothes in the most remote villages of Morocco almost fifty years ago. 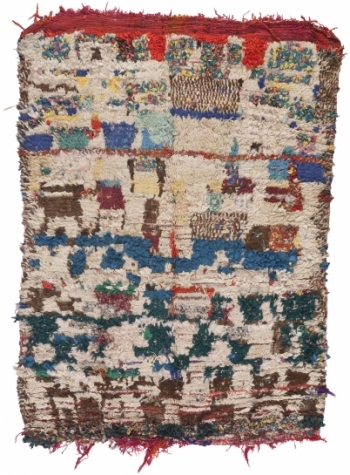 Used around the world, the technique consists of cutting fine strips of fabric and knot them one by one on the weft of the loom, an instrument, which can be found in most households. 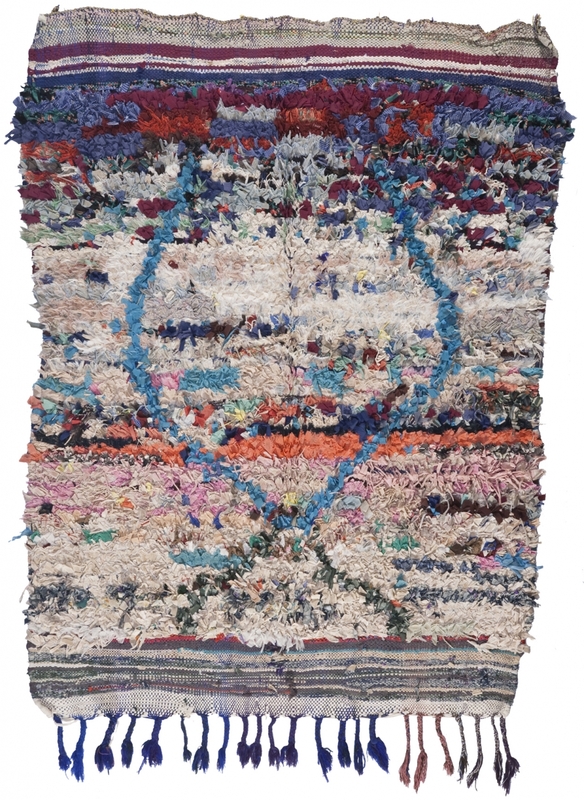 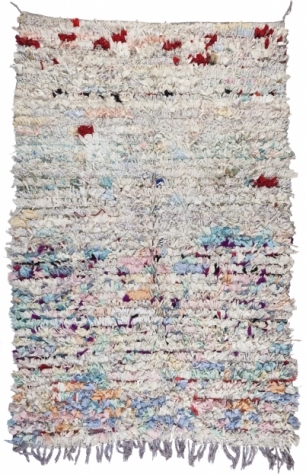 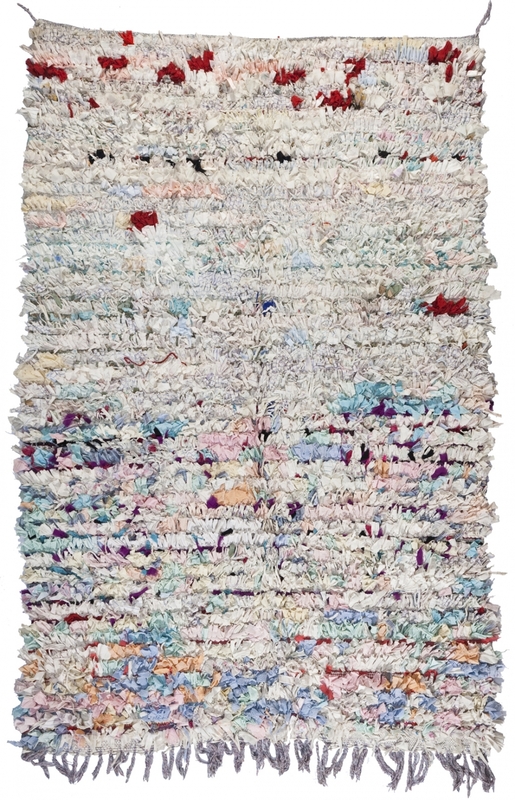 Exclusively created by women, these carpets escape the codes and communal signs which govern the patterns of traditional carpets; this make them very personal creations, even though the loom – a social gathering point and a place to exchange and transmit the values of the community – invites some occasional input from neighbours on the piece being created. The “economic” factor – the cotton and synthetic fibres used, being far cheaper than wool – largely contributed to the widespread adoption of the “Boucharouites” across the whole country, while at the same time creating a strong connotation of a “poor man’s carpet”.